← What to Do For a Lonely Osprey? When is a duck not a duck anymore? Answer: According to Department of Fish and Game (DFG) Assistant Chief Mike Carion, generally, Fish and Game laws and regulations prohibit a person from having more than the bag or possession limit prescribed for each species. You may not keep game for longer than 10 days following the season, unless you have a valid hunting license (or a copy) for that species that was issued to you or to the person who donated the birds to you. The license must have been issued for the current or immediate past license year. Possession limits apply to each person in the household whether they were the taker of the game or not. As long as you do not possess more than the legal possession limit for each person living at the residence, you will still be in compliance with the laws. If you plan on mounting birds for another person, you will be required to obtain a Federal Taxidermy Permit (Code of Federal Regulations (CFR) Title 50, section 21.24) and will be required to tag all birds belonging to someone else (specific requirements can be found in CFR Title 50, section 20.36). In addition, you must keep accurate records of who you obtained the birds from, date taken, species and who you deliver the bird to. (Fish and Game Code, section 3087 and California Code of Regulations (CCR) Title 14, section 695). As far as at what point a duck is no longer a duck and instead a carcass for mounting, under DFG laws, “bird” means any wild bird or part thereof. A feather, bone, webfoot, etc. 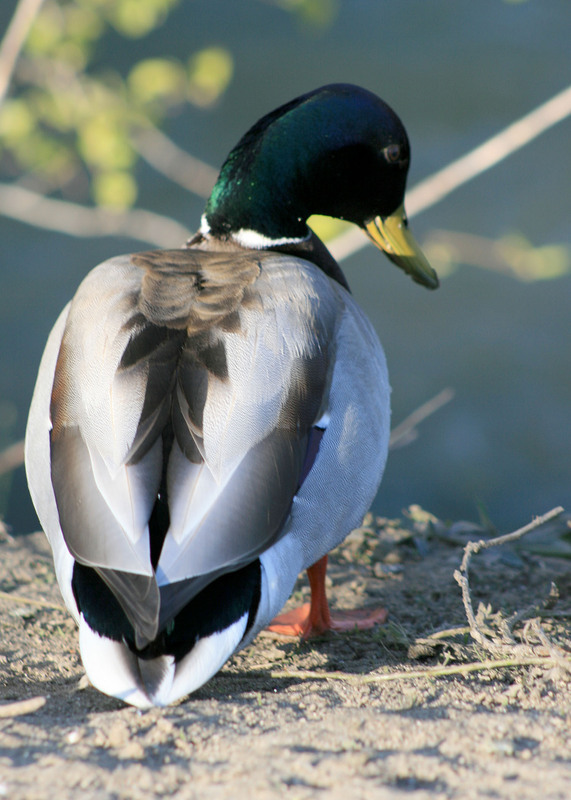 from a wild duck is always a bird. Once you remove, consume or otherwise use the edible portions of the bird, the bird would no longer count toward your possession limit for the season. As long as you have the edible portions of the bird, it would still count toward your possession limit. Once you skin out a duck and remove all of the edible portions, the edible portion remains part of your possession limit while the remainder of the carcass can be kept for taxidermy without counting toward your possession limit. Keep in mind that birds still in the freezer from last year DO count toward this season’s possession limit, but mounted birds that were legally taken and preserved by taxidermy are not counted in either the bag or possession limits. For more information, please see Fish and Game Code, sections 22, 2001 and 3080, available online at http://www.dfg.ca.gov/enforcement/. Legal method to take rock scallops? Answer: You may use SCUBA to take rock scallops. The daily bag and possession limit is 10 rock scallops per person and there are no size limits. They may be taken by hand or by using dive knives or abalone irons. The regulations that discuss legal methods for taking rock scallops are located in your current 2010-2011 Ocean Sport Fishing regulations booklet in section 29.05(d) (page 52) and section 29.60(b) (page 55). Can filling guzzlers be considered baiting? Answer: There are no fish and game laws specifically prohibiting adding water to a guzzler or other area where wildlife may gather to drink. In fact, there is a very active volunteer effort addressing this in Southern California. There are some restrictions, though, so please check CCR Title 14, section 730 to ensure that your activities are legal. This entry was posted in Bag Limits/ Possession, Deer Hunting, Diving, Info, Licensing/Permits/Stamps/Report Cards, Methods Of Take, Other, Taxidermy, Transporting Taken Animals and tagged baiting, Diving, Duck Hunting, habitat improvement, invertebrates, ocean fishing, possession limits, shellfish, taxidermy, waterfowl. Bookmark the permalink.